This attention to not only the contents of a person’s postal communications, but their social connections can be evidenced in this hand-made graphic discovered at the BStU by Julia Angwin. 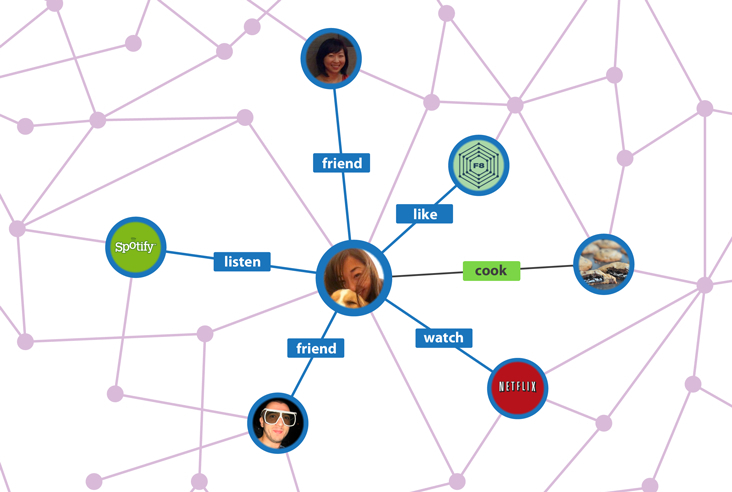 The graphic shows forty-six connections, linking a targeted citizen to other potentially interesting persons (e.g. an aunt), places (e.g. “church”), and meetings (e.g. post, phone). Through whichever means necessary the Stasi made and utilized these connections in order to gain additional insights and institute methods of control. This image reinforces the notion that the Stasi’s work was mostly a manual, often experimental, labor. It also tells us their work in surveillance and control, which is seen as a miserable, tyrannical sort, is now standard business practice among the software-automated surveillance capitalist models of the internet used by Facebook, Google, and others. Just as Department M workers like Gerd Reinicke mined the post for intelligence and PiD, the same basic processes the Stasi developed, now used as software by Facebook, are also at work in China, Iran, and other countries to filter and control what people can say and read through elaborate censorship software systems. Hanna Labrenz-Weiß. Abteilung M (MfS Handbuch). Hg. BStU. Berlin 2005. Reinicke, Gerd. “Mitlesen für den Klassenkampf: Postkontrolle der Stasi”. In: Heimliche Leser in der DDR: Kontrolle und Verbreitung unerlaubter Literatur (ed. Siegfried Lokatis). Berlin, 2008. Angwin, J. (2017). You Know Who Else Collected Metadata ? The Stasi. ProPublica, 6–8. This entry was posted on Sunday, May 28th, 2017 at 8:41 pm	and is filed under research. You can follow any responses to this entry through the RSS 2.0 feed. You can leave a response, or trackback from your own site. Entries (RSS) and Comments (RSS). 45 queries. 1.184 seconds.